The former England youth internationals have both previously worked under manager Lee Clark at Blackpool. They have have signed for the Ayrshire club, who currently sit second bottom of the table, until the summer. 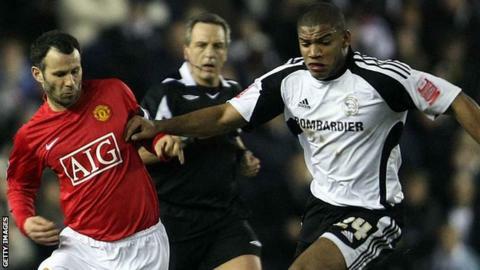 Both were free agents, with Henshall, 22, last with Ipswich Town, and Addison, 27, with Peterborough United. Addison, who can play in defence or midfield, spent six years with Derby County before three years with Bournemouth. He also has turned out for Barnsley, Rotherham United, Scunthorpe United and Blackpool on loan. Having joined Peterborough in November, Addison scored on his debut against Barnsley, but he made only two more appearances for the League One outfit, his last being on 2 January against Sheffield United. During his four-year spell with City, he went out on loan to Chesterfield, Bristol Rovers and Ipswich Town before joining the Portman Road club on a permanent deal in 2010. However, he made only five appearances for the Tractor Boys and last played a first-team game in January 2015, when he suffered a knee injury that cut short a loan spell with Blackpool.